Weedsmart.ca’s website was aesthetically pleasing and easy to navigate. Customer service was superb; emails were answered promptly by knowledgeable staff. Packaging was discreet, professional and the order was shipped in a timely manner. The products were weighed and accurate. 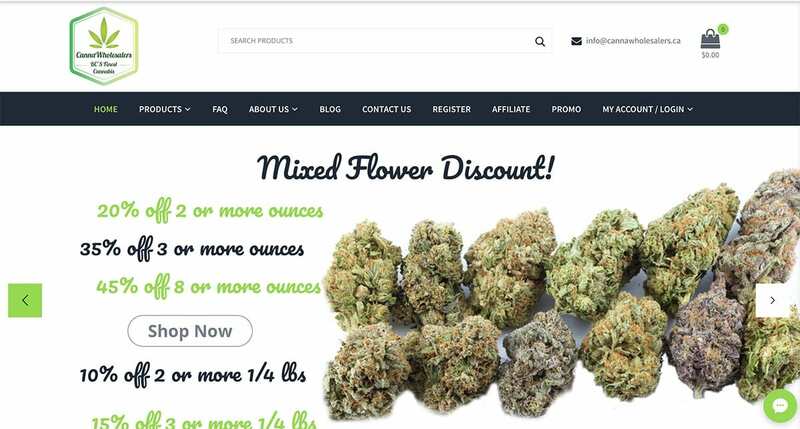 This online dispensary also offers a rewards program to their members; spend money on flowers, get points. You may then use the accumulated points to receive store credit or redeem the points on special offers. 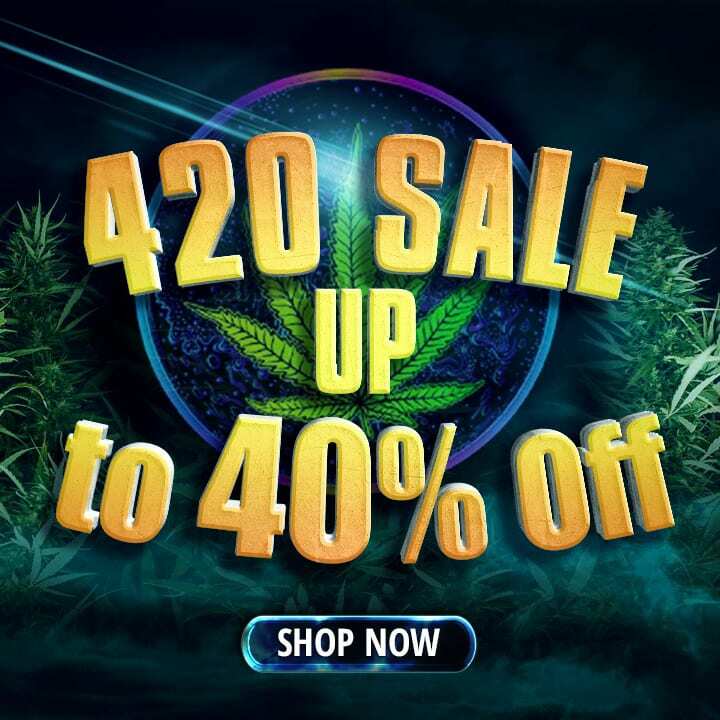 Weedsmart.ca’s reward program is a great way to incentivize and value their loyal customers and it’s a great way to attract new customers as well! 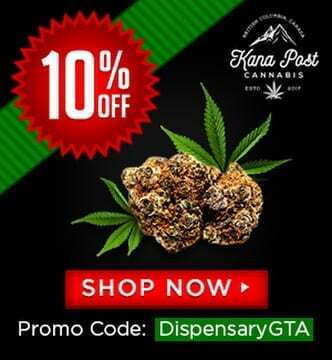 We also have a coupon code to this smart dispensary, it’s “GTA10” for 10% off. Remember to use it at checkout for savings! As soon as the bag was opened; the sweet and zesty aroma of citrusy lemon and pine bellowed into our senses. The bud was dense, compact and well cured. The medium and large nuggets sparkled with crystal trichomes and had a beautiful olive complexion. When combusted, Lemon Skunk produced a heavy, rich and harsh smoke; vary your hit size accordingly, or have a glass of water on hand to combat its powerful smoke! The smell of lemon dominated the air. The flavour of skunk was extremely subtle, almost being overshadowed by the intensity of the lemon/citrus taste. When vaped with the Arizer V-Tower, the vapour was bold, refreshing and it had a complex taste profile. This taste profile included lemons, spice, mint and finished off with an aftertaste of sweet heat (if that makes any kind of sense!). 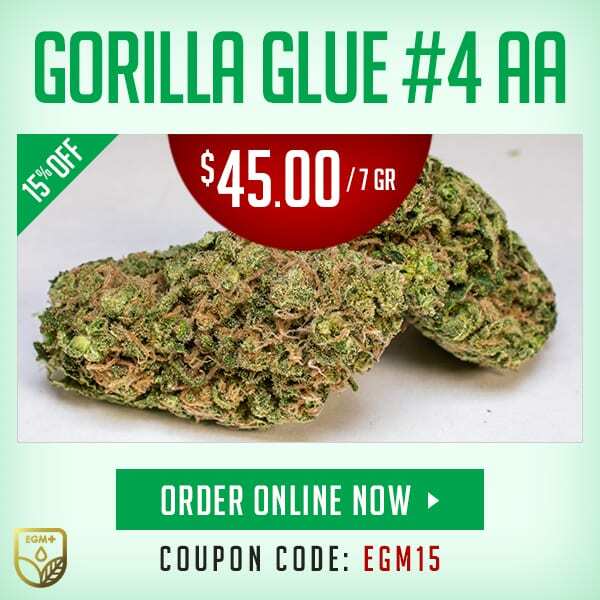 We highly recommend this strain if you are a vapour connoisseur, it will not disappoint! This sativa dominant hybrid, by Weedsmart.ca, produced an energetic and uplifting high. This strain produced euphoria and promoted creativity in a peppy, cerebral experience. There was no paranoia or anxiety; however, dry mouth was an issue (so keep the water nearby!). The large and medium-sized buds were light green in colour and lightly glistened with tiny trichomes. The flower was well cured, had an earthy aroma, and a very subtle wet wood fragrance that reminded me of a forest; after an afternoon shower. When combusted, Pink Crack shone! The smoke was silky, cool, aromatic and flavourful. This has to be one of the smoothest strains we’ve ever combusted here at DispensaryGTA. The earthy aroma and flavour was a pleasant aftertaste of what we had just sampled. 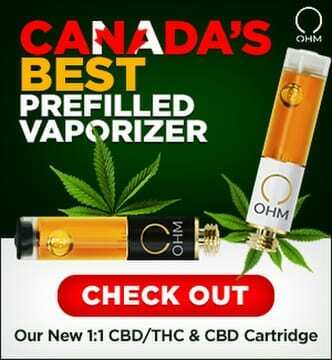 When vaped with the Arizer V-Tower, the vapour was dense; resembling smoke in opacity; the aroma had the same earthy qualities as described before; however, the flavour evolved with vaporization to add a spicy heat in with the earthy flavour profile. The high of Pink Crack was intense, strong and highly enjoyable. This 50/50 hybrid strain promoted deep body effects very similar to its parent; Pink Kush. 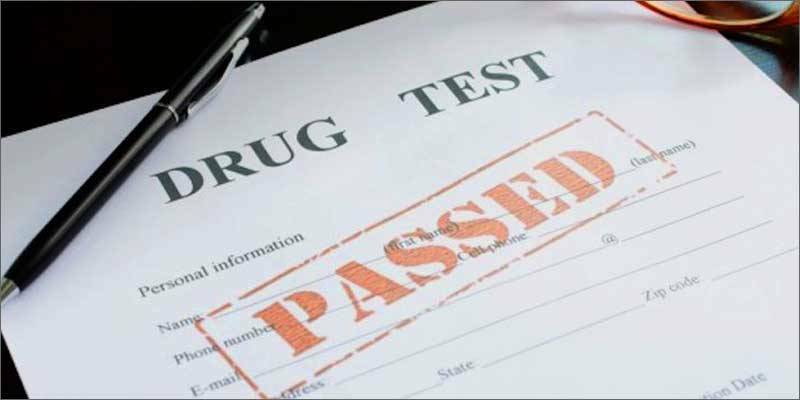 It also gave the happy, uplifted euphoric and focused high that its other parent, Green Crack provided. This strain also helped with my pain and we could tell that Pink Crack would be a great strain for a novice at night; however, more experienced users are encouraged to try at various times of day because there are prominent sativa traits within the strain that should be enjoyed. 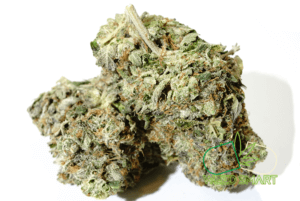 As the named implied, Cali Big Bud had large, dense and well-cured buds. The aroma was strong and pungent; heavily suggestive of skunk. The light green buds had a sweet grassy smell when ground with a hint of the skunk lingering. Frosted trichomes coated the surface of the buds. When combusted; this indica dominant hybrid produced rich, aromatic clouds of smoke that were smooth and refreshing. The sweet grassy aroma transformed into a flavourful, pleasant taste with a spicy skunk undertone. When vaped, Cali Big Bud’s grassy, sweet flavour was magnified and a spicy component was added that deeply penetrated into our sinuses (it felt like our sinuses had cleared! ).The vapour’s cloud was rich, dense and each puff felt like a brand new minty piece of gum. We recommend caution with this strong strain if you are a novice. This strain felt incredibly relaxing, with highly sedating qualities. 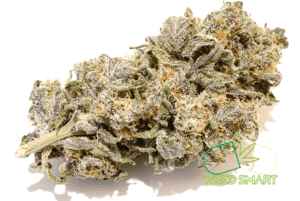 The high tended to creep up on the user, it was a highly introspective high, this strain will not make you the life of the party, it should be for relaxation and night time use. Gold Coast Pink Kush is cultivated on the island of Vancouver. 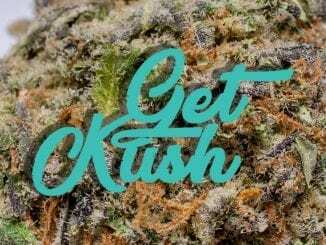 These growers are known to produce the best and most potent pink kush. 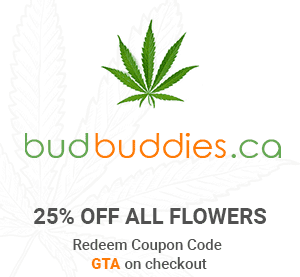 Fortunately, Weedsmart.ca has access to these farmers and are able to purchase it directly. Vancouver Island produces some of the world’s finest marijuana bud. When I opened the bag, pinkish purple hairs were intermingled with flecks of orange on the large, dense and compacted bud; barely visible under a blanket of sugar-like, frosty trichomes. When ground, the aroma was powerful, with a sweet trace of vanilla and mint. When combusted, the smoke was smooth at first; be beware, this strain had a powerful after-burn and users should have a glass of water handy! The aroma was pleasant and remained a sweet memory long after this flower was consumed. When vaped, the vapour was light, dense and the flavour tasted beautifully sweet with a refreshing mint aftertaste. We found the vapour incredibly pleasant and this indica dominant hybrid would be a perfect nighttime strain to add to your favourites. 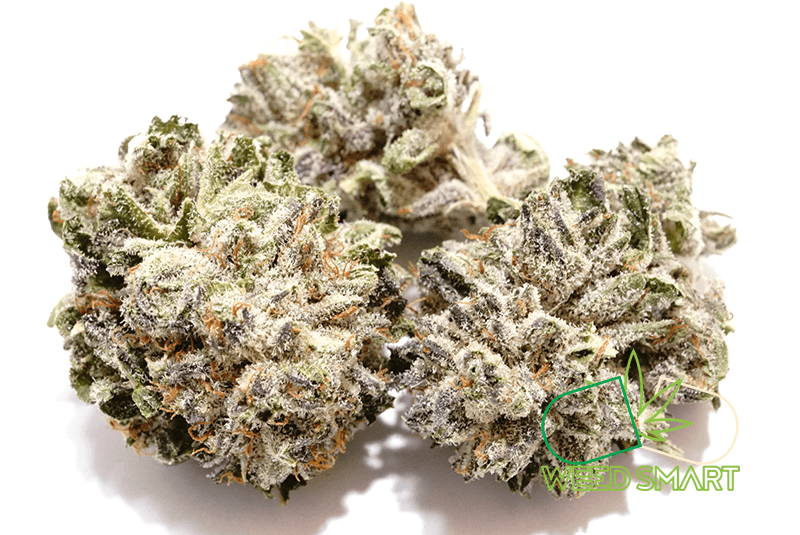 The high of Weedsmart.ca’s Gold Coast Pink Kush is introspective, sedating, mellow with highly relaxing vibes that would surely defeat any insomnia. This strain is recommended for nighttime use and can be used for pain applications and nausea. 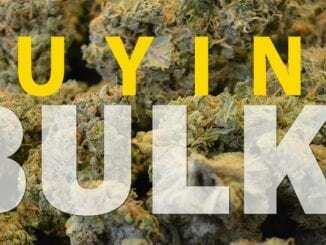 The large, tamped and dense bud was apparent as soon as the bag was opened. The light green and olive shimmering bud with orange flecked hairs was the child of famed parent plants: Purple Urkle and Trainwreck. When combusted; the smoke was light and smooth; smoking connoisseurs will enjoy this flavourful, earthy, sweet and grassy flavour profile. There was a slightly bitter taste near the end of it hit, but the hint of bitterness faded quickly. Purple Wreck is an indica dominant hybrid with an incredibly sweet, yet slightly bitter grapefruit flavour when vaped with the Arizer V-Tower. The vapour was dense, rich and had a superb flavour profile that we highly recommend. 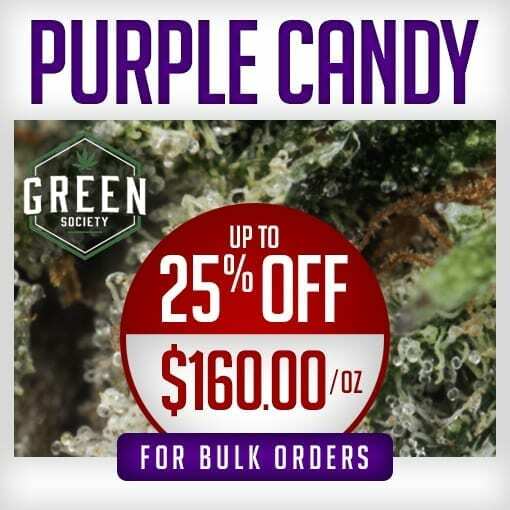 The high of Purple Wreck produced some uplifted feelings and mental alertness; however, it was also sedating, mellow, with a deep, euphoric body high that would be recommended for nighttime use. Novice users should use caution as this flower produces a powerful high. Also, have lots of munchies; this strain requires it. 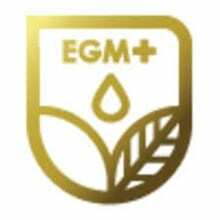 Please see our edibles page to understand how to maximize your high with edible cannabis products. 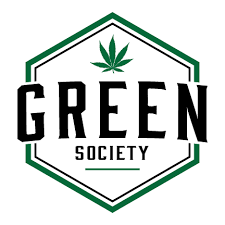 CBD products contain no psychoactive substances, which means users can get relief from a variety of disorders such as depression, anxiety, seizure disorders and addiction without the ‘high’ that usually accompanies other marijuana products. 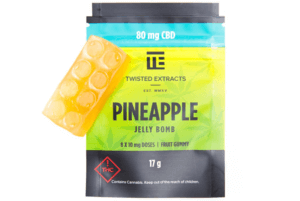 This gummy rectangle was easy to divide and had a strong pineapple flavour. 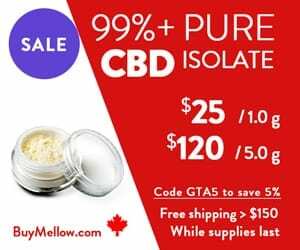 I took one CBD extract 3 times per day and I noticed a significant decrease in my pain and mobility. 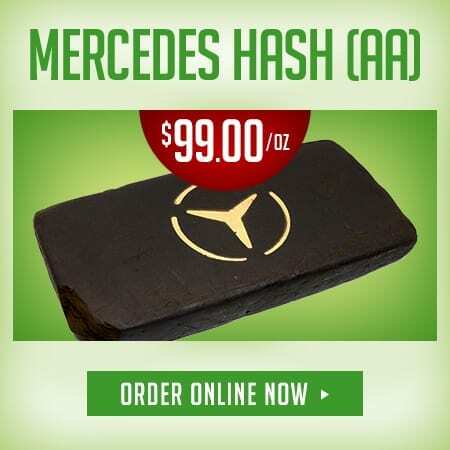 These CBD are great if you need the pain relief of marijuana without the ‘high’ that would traditionally be associated with marijuana edibles. At 80 minutes, my lips and tongue started tingling; as if they were anticipating the high as well. 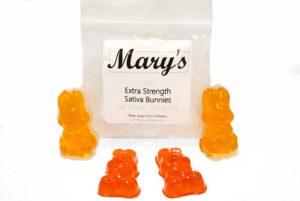 By 110 minutes, we were both feeling the full effects of these delicious gummy sativa treat. The high was upbeat and allowed us to focus and produced a euphoric relaxed feeling. 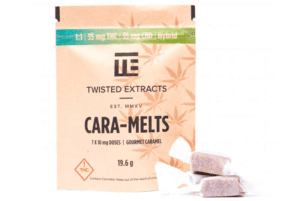 Tied for my favourite edibles award from Weedsmart.ca’s wide selection; is Twisted Extracts Cara-Melts. The professionally packaged, well labelled, delicious and creamy caramels melted in our mouths. My partner and I were fighting over who was going to get the last one, so buy more than one bag! I must say, I am not a fan of artificial watermelon flavour in candy, however, MOTO’s all organic, gluten-free and vegan watermelon wheels have a subtle taste of watermelon, more of real watermelon. I didn’t mind the flavour, and better still, each candy packed a powerful punch. The bag of 4 candies contained a whopping 100mg THC and 10mg CBD. New users should be cautious of these candies as they are powerful and strong. This shatter had a beautiful golden appearance; rolled glass smooth on the waxed paper. When vaporized with the Atmos Jr., the strong sativa effects were felt immediately and our focus and nervous energy was greatly improved. The sativa did produce a little bit of nervous anxiety; users prone to anxiety and sativas should be careful. The high of the shatter felt refreshing, invigorating with a healthy dose of euphoria. This shatter would be a great daytime choice. 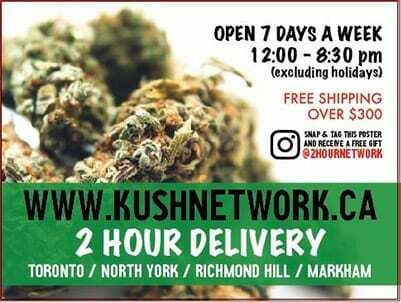 Weedsmart.ca’s rewards program for flowers, their easy to use website and their choice selection of world-renowned bud, concentrates and edibles make this MOM dispensary one of the go-to hotspots for quality cannabis products at affordable prices. 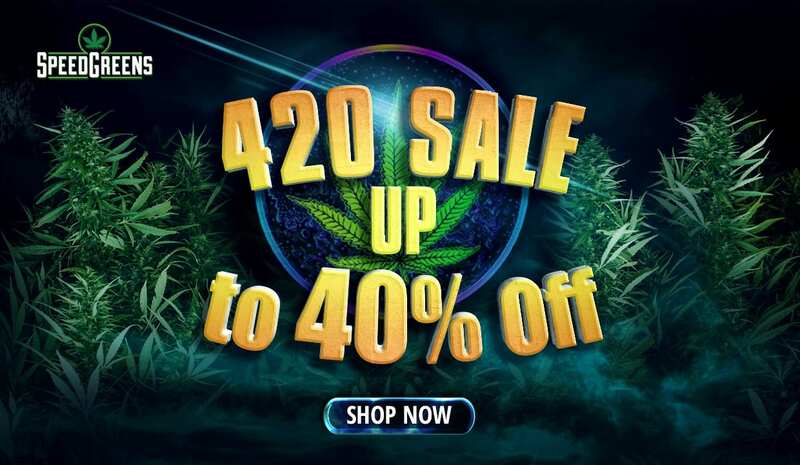 Remember to use our coupon code “GTA10” at checkout for 10% off this dispensary! Check out this amazing MOM for yourself at Weedsmart.ca and please leave us comments below.